The Vintage Robotic Speaking Photo Booths are a totally unique take on the traditional photo booth experience. With the appearance of a vintage photo booth and shooting beautiful black and white photostrips, it looks, at first sight, to be a stylish, but familiar photo booth. The Robotic Speaking Photo Booths are a fun and playful form of entertainment that is great for weddings, corporate events and all kinds of events. As soon as a guest steps inside they are immediately presented with something they’ve never experienced before – the photo booth starts talking to them. It asks their names, and jokes around, whilst making suggestions for poses, as well as taking and printing beautiful photos like a regular booth and all in a distinctive robotic voice. It’s a brilliantly fun experience unlike any other! The secret to The Robotic Speaking Photo Booths success is the interactivity, and that it allows it to converse freely with its subjects is an illusion. Where you’d expect the booth’s mechanism to be there’s a hidden operator working the controls from within, with audio software that gives them a robotic voice. There are several advantages of The Robotic Speaking Photo Booths, a major example being that brands can dictate exactly what kind of interaction it has with consumers. 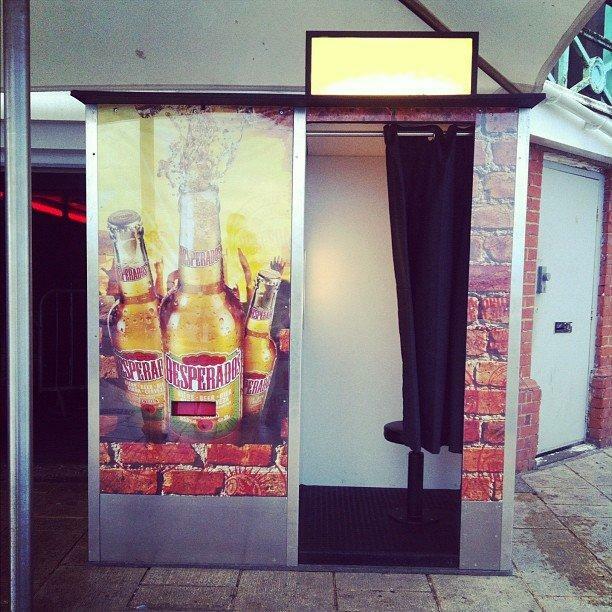 The Robotic Speaking Photo Booth is 2m wide x 2.1m tall x 1m deep. It also needs 1m clearance on the left side for access to the controls. 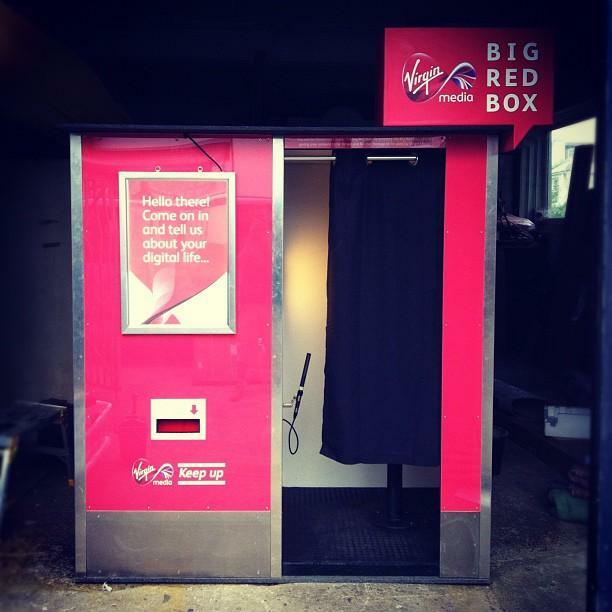 The photo booth totally disassembles so can be taken to upper floors (preferably via a lift). 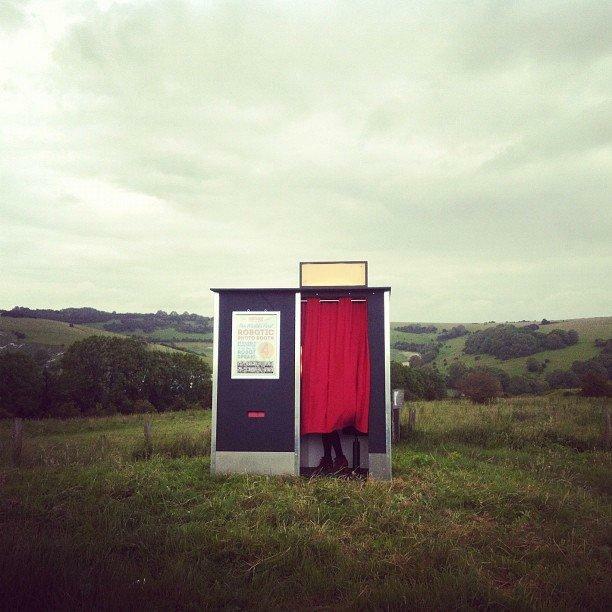 The Robotic Speaking Photo Booths can be hired for a minimum of 3 hours, but up to a whole day. 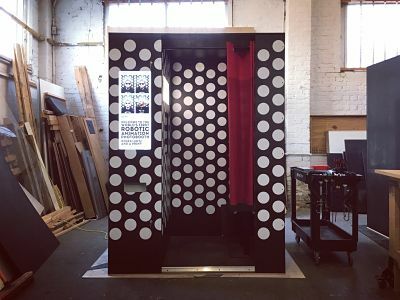 I have watched this amazing photo booth develop from the initial prototype which appeared at my 40th birthday party into a very professional yet fun talking robotic photo booth. Having hired it for my last works Christmas party and I can highly recommend it for getting the party started and encouraging people to mingle and let their hair down. It was a massive success at the 1000 guest event we had to launch Vice.com with huge queues happily waiting to have a go in this unique Robotic Photo Booth.